This is the final piece in a three-part series about privately-financed roads. In the first two parts of this series, we looked at the Indiana Toll Road as an example of the growth in privately financed highways, and how financial firms can turn these assets into profits, even if the road itself is a big money loser. In this piece, we examine the shaky assumptions that toll road investments are based on, and how that is putting the public at risk. For privately financed toll road deals, traffic projections are critical. These forecasts tell investors how much revenue a road will generate, and thus whether they should buy a stake in it, and what price to pay. While traffic projections have underpinned the rapid growth in privately financed highways, the forecasts have a dismal track record, consistently overstating the number of drivers who will pay to use a road. Private toll roads have been sold to the public as a surefire something-for-nothing bargain — new infrastructure with no taxes — but it turns out that the risk for taxpayers is actually substantial. The firms performing traffic projections have strong incentives to inflate the numbers. And the new breed of private finance deals are structured so that when the forecasts turn out wrong, the public incurs major losses. Given the large sums of money involved, even small errors in traffic projections can result in huge problems down the line — and, as Streetsblog has reported, traffic projections everywhere have tended to be wildly off-target. A whole financing scheme, meant to last for generations, can easily be sunk in just a few years by exaggerated traffic projections. 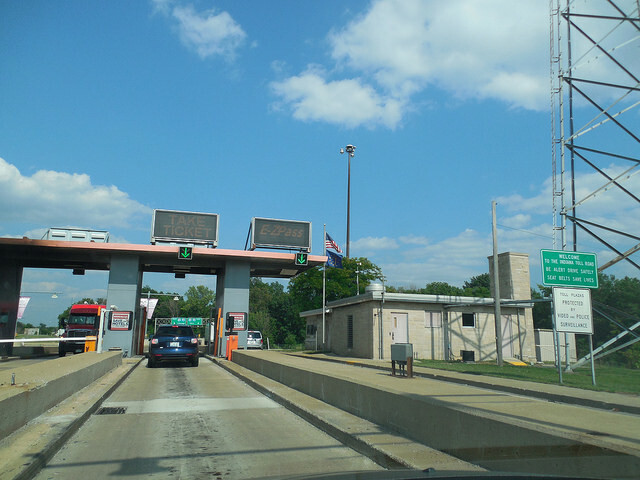 The Indiana Toll Road, purchased in 2006 for $3.8 billion, is a great example. The firm that owned it, ITR Concession Co. LLC, declared bankruptcy in September. Wilbur Smith Associates had predicted that traffic volumes on the Indiana Toll Road would increase at a rate of 22 percent over the first seven years. Instead, traffic volumes shrank 11 percent in the first eight. The result was financial disaster for the concession company, owned jointly by Australian firm Macquarie and Spanish firm Ferrovial. By the time they filed for Chapter 11, debt on the road had ballooned to $5.8 billion. The company blamed the recession for putting a damper on truck traffic. The same story was offered on another bankrupt Macquarie-owned project, San Diego’s South Bay Expressway. But is that explanation sufficient? In 2012, the Reston (Virginia) Citizens Association completed a study [PDF] examining traffic projections provided by engineering firm Wilbur Smith (the company that did the very wrong Indiana Toll Road projections, now called CDM Smith). The group collected data from 26 toll road projects on which Wilbur Smith had produced the traffic projections. During the first five years that were forecast, traffic projections overshot actual traffic every single year, and by an average of 109 percent, according to the report. There is ample incentive for these firms to inflate numbers. Firms that predict high levels of traffic attract investment dollars and regulatory approvals, which lead to construction projects, and the same firms often end up directly cashing in. An investigation by the Denver Post examined 23 toll roads built between 1985 and 2006. Five of them sold bonds based on traffic projections that were prepared by companies that were promised, or granted, future business after their projections were sold to investors. Among those firms: Wilbur Smith, the company that did the Indiana Toll Road and South Bay Expressway projections. One example cited by the Post was the traffic forecast for the $200 million Southern Connector in Greenville, South Carolina. In that case, Wilbur Smith was offered $12 million in contracts if the bonds to finance the project were sold. Toll Roads News reports the road only saw one-third to one-half of the traffic predicted by Wilbur Smith, and declared bankruptcy in 2010. In some cases, engineering firms producing traffic projections have been sued for fraud by investors who lost money on projects that seemed like sure bets. Investors in the CLEM7 toll tunnel in Brisbane, for example, launched a class action suit against Los Angeles-based AECOM after actual traffic was as much as 70 percent below expectations. But other than the threat of liability, there is little to deter these companies from putting a rosy spin on the numbers. As the U.S. government wades ever more deeply into privately financed roads through its giant TIFIA lending program, federal taxpayers can end up on the losing end when projections come up short and deals go bad. As illustrated by the South Bay Expressway — a San Diego highway that received a second federal loan after it was unable to pay back the first — TIFIA has no built-in protections against inflated traffic projections and the financial fallout that can follow. When he was still a Congressman, the late Jim Oberstar (D-Minnesota) tried to establish an accountability office at U.S. DOT specifically to evaluate these private finance projects — but his suggestion was never enacted. That may be especially important in new private finance deals, where the risk has been largely shifted to taxpayers. Soon afterward, S&P held an event unsubtly titled “Traffic and Revenue Forecasting: Is This Risk Too Much For The Private Sector To Bear?” The answer appears to be “yes,” according to a recent Bloomberg article, “Private Toll Road Investors Shift Revenue Risk to States.” Potential investors in the Illiana Tollway — a billion-dollar highway proposed for cornfields beyond Chicago’s suburban fringe — and numerous other proposed roads are demanding that states assume the risk if traffic or tolls don’t meet expectations, by guaranteeing “availability payments” whether or not the cars show up. Availability payments, the latest trend in privately financed infrastructure, guarantee a fat annual check from the state government to reimburse the private partner for their construction and maintenance costs. That amount is locked in even if the state collects no revenue at all. “We are seeing more of that because investors are a bit skittish about the U.S. market,” Cornell professor Richard Geddes told Bloomberg. In states like Texas, where toll roads have recently turned into fiascos, investors are pushing to change laws to have the state — a.k.a. the public — assume the risk of lower-than-projected traffic. The financial industry truly has learned some lessons from the Indiana Toll Road, the South Bay Expressway, the Pocahontas Parkway, the Greenville Southern Connector, or numerous other road investments gone bad. They’ve learned not to bet on rising traffic volumes, or on rising interest rates, and that the best way to privatize the profits is to stick the taxpayers with the bill as traffic volumes continue sinking. Marketed to taxpayers as infrastructure they never have to pay for if they don’t want to, many privately-financed highways are actually bailouts waiting to happen. Edited on November 21 to add more context about availability payments. Aside from TIFIA, where’s the public harm? I don’t think that’s clear in the Indiana case. The government, in this case Indiana, struck a good deal for the state / citizens. Seems TIFIA is the issue, and certainly terrible deals by some municipalities selling low without proper price controls are troubling. How are the taxpayers of Indiana harmed by their deal? Here’s what is left out of all of this. Most of these toll roads also have parallel state roads or limited access highways. Some are four lanes. If you’re willing to spend a little more time on the road you can save money. Truckers save money skipping tolls, but these roads get torn up faster with all the extra traffic, with repairs on the routes paid for by the local or state govs. So how much of the reduced traffic volume is not because of fewer drivers, but drivers choosing an alternate route? Public-private partnership always means private profit and public risk. When a privatized road or railroad goes bankrupt, can the gov’t afford to let it be dismantled? Of course not. Somebody (i.e., taxpayers) have to come to the rescue. Once the finances are sorted, it can again be privatized…second verse, same as the first. There’s a variety of potential public harms even if the state doesn’t get stuck with bad debt, badly maintained infrastructure, or lots of legal fees. Public payments to the new company who inherits the road may be too high, the ability to enact future transportation policies in the corridor is typically restricted, and public transparency is typically compromised by proprietary restrictions. Moreover the inaccurate forecasts may tilt future projects toward unjustified highway expansion. Tolls in the Indiana case were capped and set by the deal. I agree, the deals can do this poorly, like Chicago parking meters, but this particular example isn’t a good one . Most of those routes were in existence before the deal, so should have been part of the calculations. “should have been” is what is at question here. We’re currently having this same fight in the Cincinnati/NKY area over the Brent Spence Bridge. The pro-toll/Pro-P3 coalition actively refuses to accept suggestions of traffic diversion and the consequences of the diversion. Any guesses as to which big company is interested in doing the financing, construction and maintenance of the project? Even worse, CD Smith are consultants for both the ODOT and KYTC. We have four non-tolled options literally right next to the bridge they want to toll. The pro-toll coalition claim there will be little to no impact from diversion, while at the same time claim any diversion from the bridge will return once they get stuck in the traffic from diversion (they’ve estimated it at 2 months of diversion). It’s absurd. That’s fair, but if the deal is structured where investors bear the risk, isn’t an inflated traffic projection simply increasing the price paid by them (assuming they can’t just raise rates or charge back losses when traffic levels don’t materialize)? If the financiers want to spread risk accross instruments to defray their actual risk, why is that the problem for the municipality selling high? Because based on the previous problems with traffic projection the response of investors has been to shift the burden to the state (and taxpayers). The lesson learned from investors from the Indiana Toll road wasn’t: get better traffic projections. It was: make sure the state takes the burden, and increase protections for the investors. In the year 2000 I rode a bicycle across the U.S. solo. Entering Indiana on the secondary roads I was forced to use( roads that were once the main route in most cases) I noticed a distinct negative change in the maintenance standards from the Illinois roads I had been using. So I am not at all surprised to see that the local attitudes towards public services have not changed for the better since then. Investors can’t shift the burden on existing agreements, but they can when negotiating new deals. If they say the state has to guarantee certain amounts of return or no deal, the state has no incentive to stand firm. It’s the next administration that has to clean up the mess. It is actually a good deal for taxpayers and motorists, when gullible investors lose money, which becomes a de facto subsidy to get a new highway built. I will post a long comment on its own, on this problem. The problem is that so few people understand the relationship between demand and flow.This dooms all toll road projects to failure as long as there are alternative routes that remain free of charge. At some stage, investors have to become “once bitten, twice shy” about bonds for tolled road infrastructure projects. I and several transportation economists I know, would have told them it wouldn’t be a profitable investment for them, because their project is trying to compete with alternative routes that are still free of charge. I will explain the extent of the problem; few people, even in the transport sector, understand this. The graphed relationship between “demand” and “flow”, is a backwards-bending curve. That is, a tipping point in demand is reached when traffic that was flowing at a certain rate, becomes “stop-start”. Suddenly, even though demand has increased, flow has decreased. It is this phenomenon that road planners are fools to allow to happen. This is why “rush hours” tend to lengthen out – the flow rate tends to have dropped by more than 50%. MORE vehicles used to get through in a crucial 1-hour window of time – while the economy and automobile ownership were still growing. Now that speeds are so much slower, it is taking 2 to 3 times as long for each vehicle to travel the route; and the actual added numbers of vehicles involved in the new extra-long rush hour, might only be 20% more than under the old free-flowing equilibrium. But it has happened – then, bingo, an ignorant private investor builds an alternative toll road. It only needs a few percent of existing users of the congested route, to switch; and suddenly the previously-congested free-of-charge route, is a free-flow route again, throughputting MORE vehicles at the crucial peak period, than what it was when traffic was “stop-start”. The trip destinations are on a massive winner – i.e. the businesses and property owners; the toll road investors take a haircut. (I actually like this as a means of the public getting a free new road out of stupid investors). 🙂 It is actually nonsense to imply as anti-car activists usually do, that the problem is “lack of demand” (this straight after arguing for years that induced traffic will re-congest any expansion in capacity); the throughput of the total system is actually massively increased even though even the old routes APPEAR to be carrying LESS vehicles at peak. They are actually carrying more vehicles within the crucial peak demand time window, but less vehicles than under the old “stop-start” conditions, over the 3 hours + that rush hour has lengthened out to. Of course a lot of this is time and route switches, but it is inherently more efficient that people can plan their commute around efficient times of attendance at work, not “beating the traffic”. And the point remains that the car drivers are perfectly happily paying the cost of their car, petrol, repairs, insurance, whatever – adding up to 20 cents a km for an efficient little car; more for bigger ones. They just can’t be bothered paying more to travel on a new toll road that offers less time savings than the stupid private investors thought it would. The correct time to apply “pricing”, is not when capacity is added sufficient to restore faster FLOW, but when there is stop-start congestion. Once demand has risen again to the point that all routes are congested, turning one lane into a “priced” express lane will achieve impressive results. Such lanes, correctly priced, throughput MORE vehicles than the adjacent free of charge lanes/routes which remain stop-start. Therefore no-one “loses”, because no-one who is “priced out” of the express lane(s) is adding to congestion in the free ones. If you don’t “get it”, oh well, 99% of people unfortunately also don’t. This is why we are forever stuck with politically unresolved complex problems. Correct — it was the bondholders that fronted big $ to MacQuarie that were left in the lurch. We Indiana taxpayers tip our hats to them. 2. future transportation policies in the corridor will be unaffected; what was a toll road prior to MacQuarie/Cintra is still a toll road. There’s little change in the risk of building any parallel capacity, whether free or not. The (few) local residents who need to pay tolls will continue to pay them — and continue to complain about them. What else is new? 3. transparency will likely be improved, thanks to so much attention being focused on the bankruptcy and subsequent bidding for the company’s remaining asset, the lease. Only this time, the traffic & revenue projections won’t be so blue-sky unrealistic. All that said, this experience will inject a long-overdue dose of skepticism to P3’s and the slicko’s who have been selling them to unsuspecting investors and government officials. Those assumptions are on shaky ground, Chris. Also a bunch of big European banks that got bailed out by European governments. In the case of Indiana, that’s exactly the case. Price caps were built into the agreement. They do have incentive to get re-elected, and agreements reaching past a term limit is not unique to P3s (pensions, delayed maintenance, labor contracts, etc.). The Indiana case, while well researched, is poorly chosen. In fact, you could argue the best P3s (for the public) are those that end in bankruptcy for the investors. That basically says the state/municipality maximized the opportunity. The alternative, the state undersold and didn’t dictate proper toll caps, etc. The company makes a ton of money above the sale price, which, in effect, is a tax on the public to benefit private corporations. These “Republi-con” governors of states that sell out to allegedly private firms to build or maintain roads are charlatans. Just like the bank bailouts and giveaways these “privatization” firms are nothing more than scam artists trying to take advantage of the hapless taxpayers with republi-con governor help! Just say “no” to privatization.